@wristfashion: @billg thanks for the retweet. I just saw your profile. you seem like you’re working on something very interesting. @wristfashion: @billg honestly, i expected fossil to have been all over the next-gen watch category ages ago. So now that the ‘connecting fabric’ is here to stay, maybe we will see some exciting new developments on the horizon. Hi Adnan, Love your blog. I’d like to give credit where credit is due: Andreas Constantinou (@andreascon on Twitter)is the author of the ‘connecting fabric’ quote referenced above. I simply retweeted it because I believe he’s right. I’d like to give credit where credit is due: Andreas Constantinou (@andreascon on Twitter)is the author of the ‘connecting fabric’ quote referenced above. I simply retweeted it because I believe he’s right. Hey Bill, thanks for correcting me. Fossil is the driving force lately in the new watch concept. Thru’ Twitter , I came to know exactly what it meant by connecting fabric. 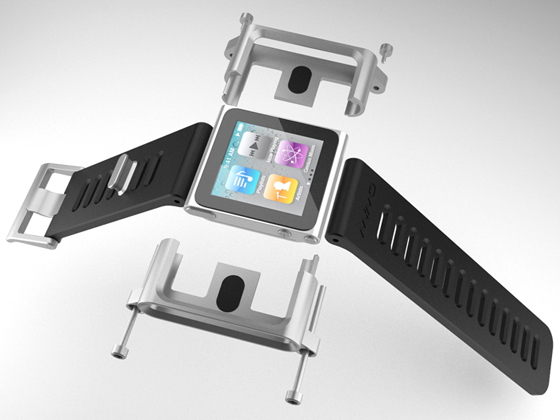 It is new for watch industry and going to bring exciting things to new designs.